One way of viewing covariates is as extra sources of variation in the dependent variable that can mask the variation due to primary factors. This example demonstrates the use of the COVAR= option in PROC RSREG to fit a response surface model to the dependent variables corrected for the covariates. The ANOVA results shown in Output 81.2.1 indicate that no process variable effects are significantly larger than the background noise. 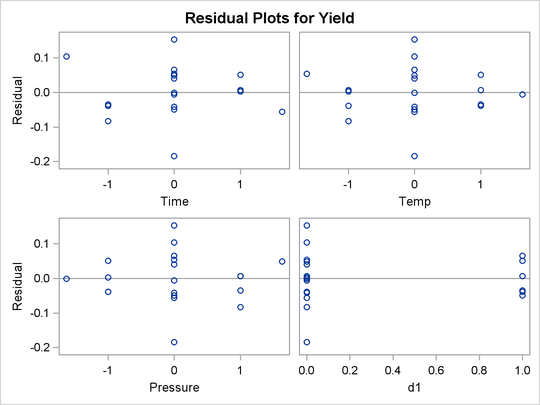 However, when the yields are adjusted for covariate effects of day and grade of raw material, very strong process variable effects are revealed. The following statements produce the ANOVA results in Output 81.2.2. Note that in order to include the effects of the classification factor Day as covariates, you need to create dummy variables indicating each day separately. The results show very strong effects due to both the covariates and the process variables. 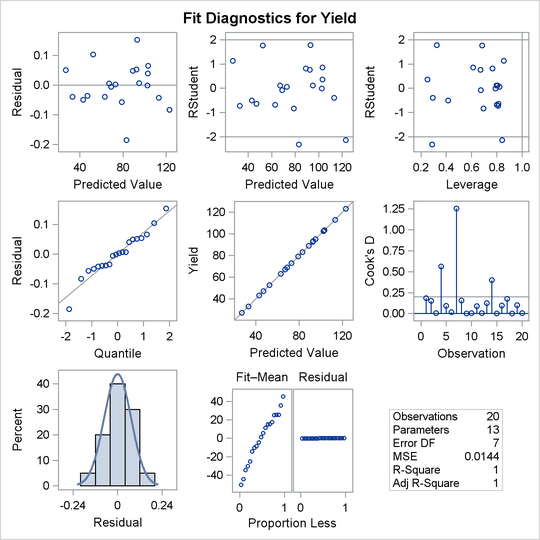 The number of observations in the data set might be too small for the diagnostic plots in Output 81.2.3 to dependably identify problems; however, some outliers are indicated. 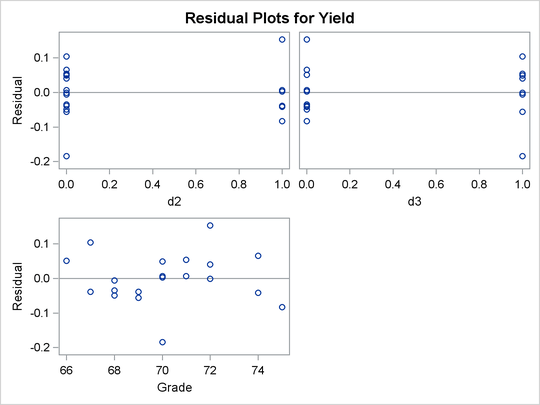 The residual plots in Output 81.2.4 do not display any obvious structure.